If you’re an illegal immigrant, chances are you live in fear of deportation every day. That’s probably why you chose a job where you’re paid for less money than an American worker. You work hard every day to make money to send home. But then one day, you slip and fall, breaking your ankle. You’re in a lot of pain but your boss is not sympathetic to your injuries; he threatens to have you deported if you file a workers compensation claim. Can he really do that? Will you really be deported for filing a workers compensation claim? Unfortunately, this scenario happens way too often in this country. According to a recent article from The Nation, immigrant workers across the United States deal with injuries they received while on the job after being threatened with deportation. Since they have no knowledge of the law, these undocumented workers take the threats seriously and instead of getting the benefits they need to get healthy, the workers suffer with the pain while living in fear of deportation. 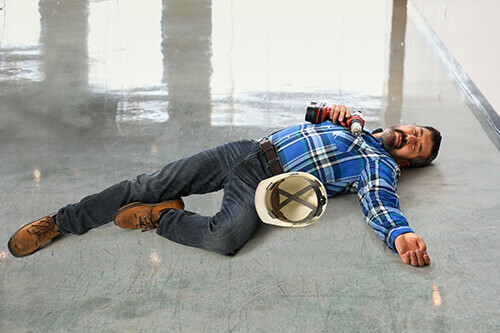 According to Texas law, although private employers are not required to have workers compensation insurance coverage, any worker who is injured while on the job is entitled to workers compensation benefits, no matter what their citizenship status may be. It may sound strange, considering that it is illegal for companies to hire undocumented workers; however, you still are allowed to get benefits after an accident at work even if you are in the country illegally. But let’s change the scenario: What if your employer doesn’t have workers compensation insurance. What are your next steps? It is the duty of your employer to report each work-related injury to Texas’ Division of Workers’ Compensation. They are also responsible for paying for your medical bills and loss of income benefits. If your employer fails to do so, then you have the right to file a lawsuit against your employer. Remember, just because you’re not a citizen of the U.S. doesn’t mean you don’t have the same rights and privileges as one. If you are an undocumented worker who was injured while on the job or in an accident caused by someone else’s negligence, know your rights. Contact de Lachica Law Firm, PLLC today for a free consultation. Hablamos Español.